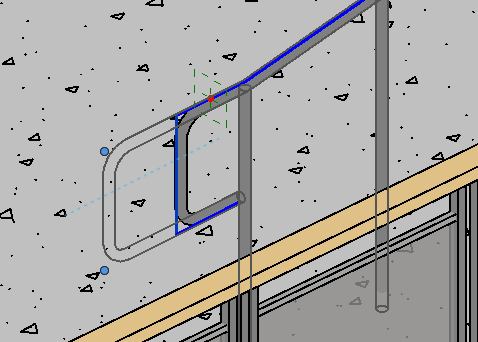 Even with the newer Railing tools that were introduced in Revit 2013, the Railing tool is still quite limited. The Top Rail path can be edited, but only to add extensions to the main path. 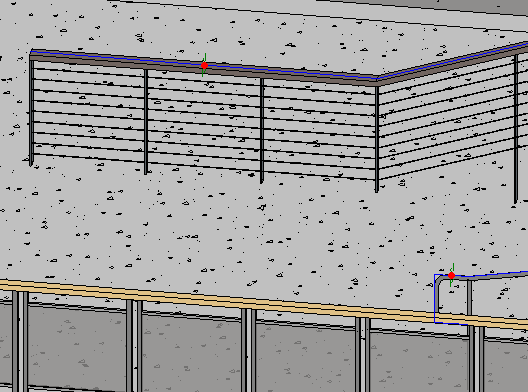 Usually, the main path cannot be modified, but Luke over at What Revit Wants noted that there is a situation that will allow you to modify the main path for the Top Rail. This ability to modify the Top Rail path seems to be somewhat of a glitch, but I tested it out and found that it does indeed work, though it is not the easiest thing to do. To modify a Top Rail path, first select another Top Rail that you do not want to modify (this is important- for some reason this glitch will activate an editable path on all other Railings, except the one you have selected). Edit the Rail and then Edit the Path. 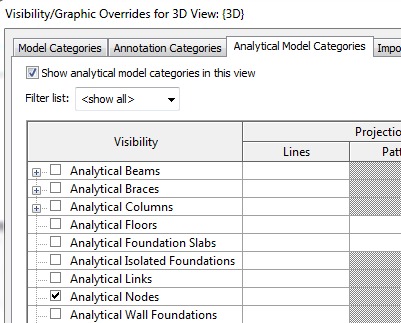 Once in Edit Path mode, go into your Visibility/Graphic Overrides and turn on Analytical Nodes. 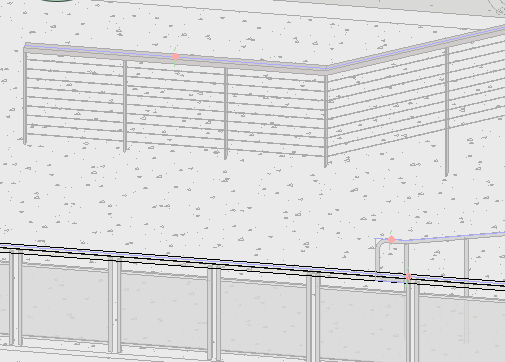 All of the paths and nodes for the Top Rails and Handrails will then become visible in that view (the paths are blue and the nodes are red). Finish the Rail Path and the Continuous Rail modes and all of the other Rail paths and nodes will still be visible and editable. Because I used the path on the brown railing to turn on the other paths, its path has now disappeared. You can then grab and modify the visible blue path segments. However, once a path segment has been selected, it will turn off and cannot be modified until you repeat the previous steps (edit Path, and turn on Analytical Nodes). Luke also has a video that shows how this is done. When testing this out, I found that working in Section has several advantages. Unlike 3D views, untouched path segments (that were part of the modified path) did not disappear. 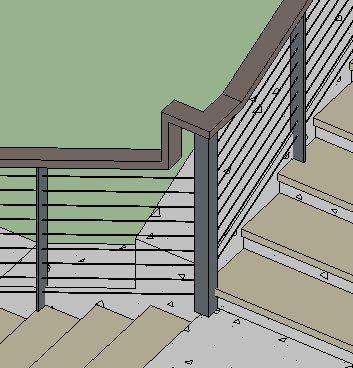 It is also easier to make accurate adjustments to Railings in Section. Also, once Analytical Nodes have been turned on, you can simply turn them off for the same result (instead of turning them off and then back on). If you actually want to turn off the Analytical Nodes, I found that cropping your View will “clear” them. 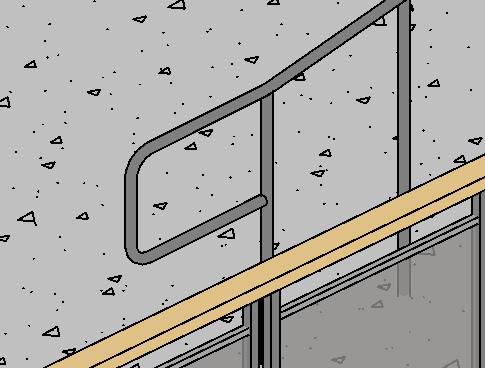 But since this is not a true feature (and more of a glitch), the Railing will reset if the host Stair is modified in any way. For example, I removed the left Support from the Stair, and the modified Rail path reset to the original path. So if you want to modify the Rail Path in this unconventional way, it might be best to use a Railing without a host. 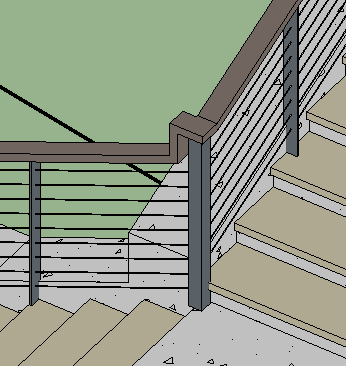 And if you encounter issues with an unconnected rail path, I would recommend using Trim (both in Plan and in Section).